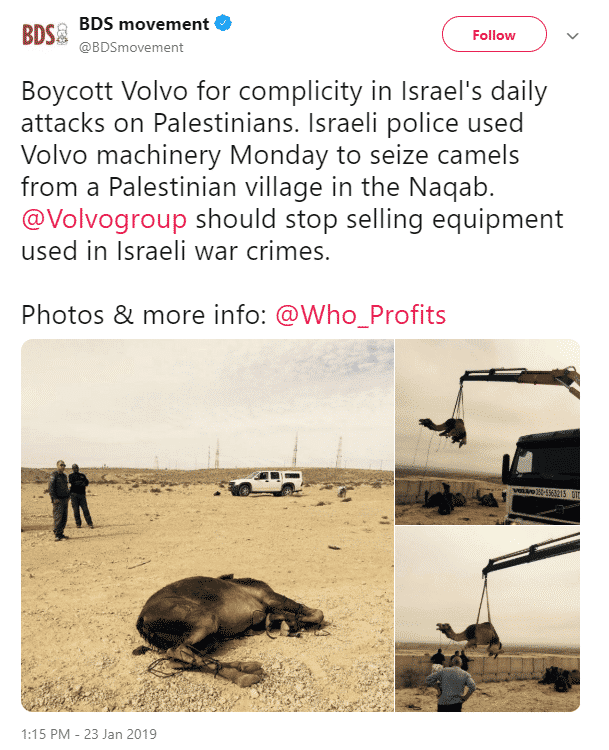 The BDS movement want everyone to boycott Volvo because Israel seizes camels with Volvo machinery. Volvo is complicit in Israel’s forced displacement policies in the Naqab. 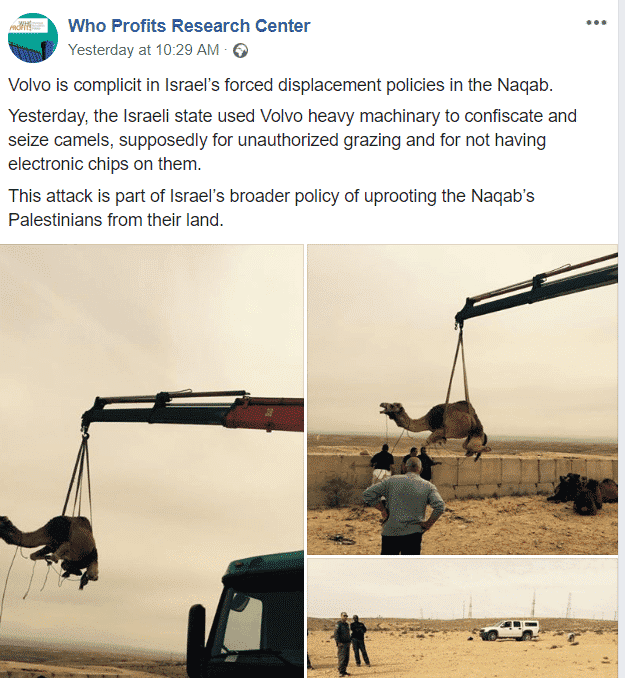 Yesterday, the Israeli state used Volvo heavy machinary to confiscate and seize camels, supposedly for unauthorized grazing and for not having electronic chips on them. This attack is part of Israel’s broader policy of uprooting the Naqab’s Palestinians from their land. This is yet another libel, plain and simple. 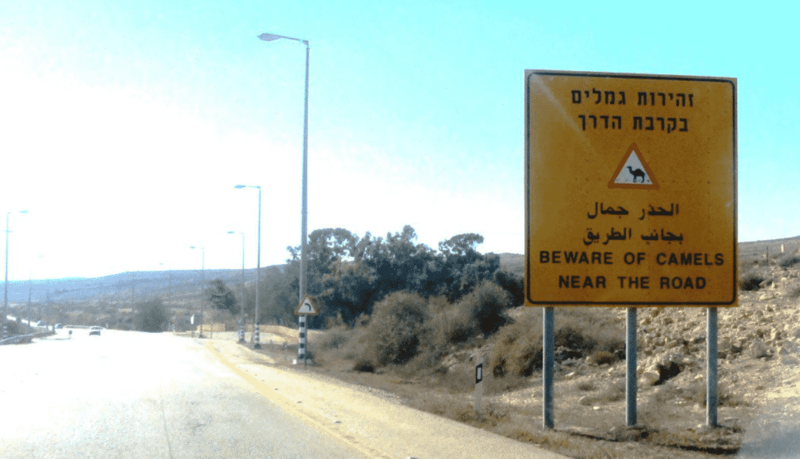 Camels are to be tagged like dogs with an under-the-skin digital ID chip and their owners held criminally responsible if their animals are involved in road accidents, according to a law passed by the Knesset on Monday. The Law for the Marking and Supervision of Animals, which passed by 42 votes to 10, obliges owners to register their camels on a yet-to-be established registry, and to fulfill a number of criteria in keeping the desert livestock, in an attempt to cut traffic deaths and injuries caused by camels walking on roads in Israel’s south. This is a real law, based on a real concern. 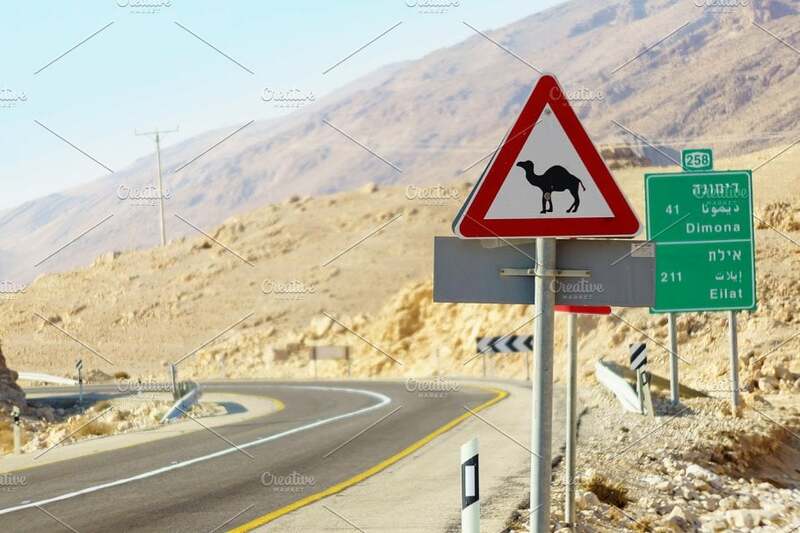 Traffic accidents in Israel via camel is a real thing, even necessitating traffic signs. 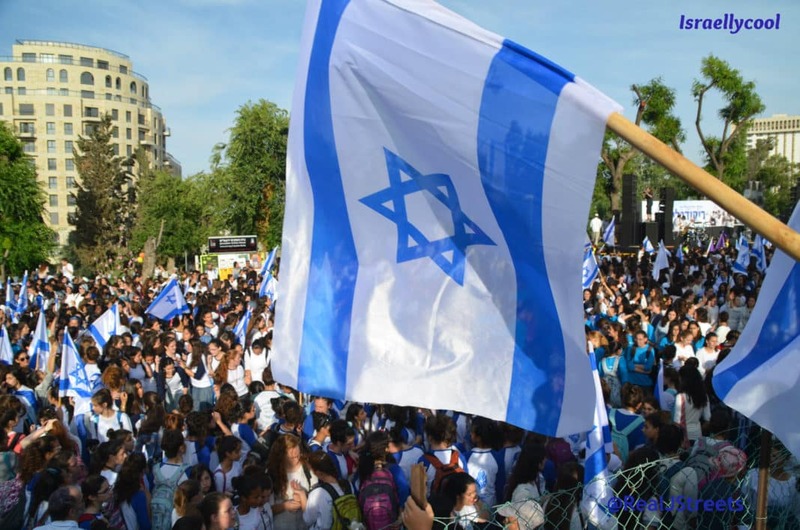 The allegation that we seized camels “as part of Israel’s broader policy of uprooting the Naqab’s Palestinians from their land” is yet another pernicious lie against the Jewish state. As I keep telling you, if you need to lie, what does that say about you and the validity of your side?